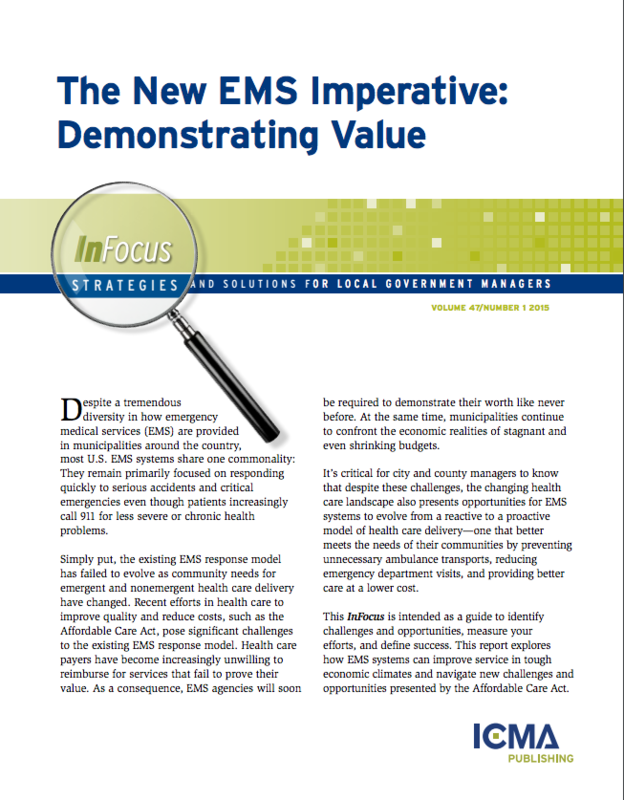 Simply put, the existing EMS response model has failed to evolve as community needs for emergent and nonemergent health care delivery have changed. Recent efforts in health care to improve quality and reduce costs, such as the Affordable Care Act, pose significant challenges to the existing EMS response model. Health care payers have become increasingly unwilling to reimburse for services that fail to prove their value. As a consequence, EMS agencies will soon be required to demonstrate their worth like never before. At the same time, municipalities continue to confront the economic realities of stagnant and even shrinking budgets. care at a lower cost. how EMS systems can improve service in tough economic climates and navigate new challenges and opportunities presented by the Affordable Care Act. firefighter/EMTs, who also perform fire suppression functions. directly. Local government officials appoint leadership and also approve funding. operations, including support functions, are under the direct control of the local government. but the private contractor often has total control of operations. Medicaid patients, which has also been adopted by most private payers. costs associated with providing emergency medical services. and needs of each community. measuring the time it takes for a responding unit to arrive at the scene of an emergency. expectations on the one hand, and community resources and attributes (e.g., urban vs.
minutes and provide initial management and stabilization of a patient. emergency or the severity of the patient’s medical condition. levels would be more concerned with the percentage of time ambulances are available. 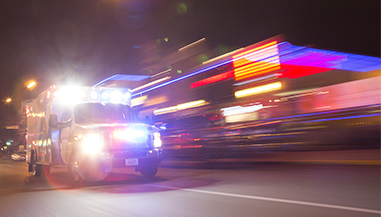 errors, especially in EMS systems that have 24-hour shifts. Shift schedules. Personnel costs account for the majority of an EMS system’s budget. needs and priorities of particular EMS systems. However, four staffing models predominate. overtime costs due to the greater number of shift changes each day. decrease the high costs associated with treating those problems once they occur. opportunities for the emergency health care system, including emergency medical services. As part of the Affordable Care Act, Medicare has changed how it reimburses hospitals. home from the hospital returned two weeks later, the hospital could bill twice for the patient. prescription medications, rehab, and home health). among the providers and hospitals.